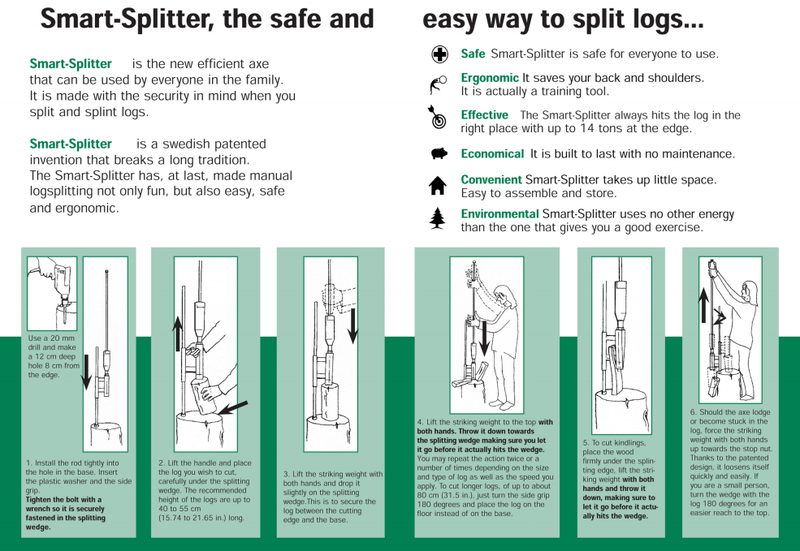 With over 500,000 units sold, the Smart-Splitter combines safety with efficiency. 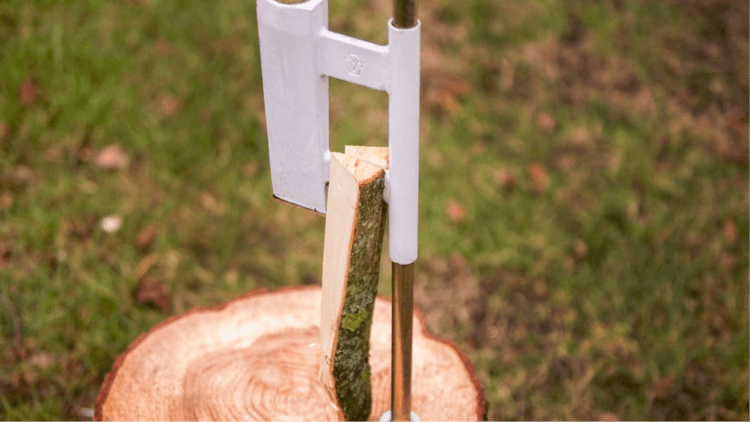 Ergonomically designed, the Smart-Splitter has proven itself to be an effective and safe option for your wood splitting needs. 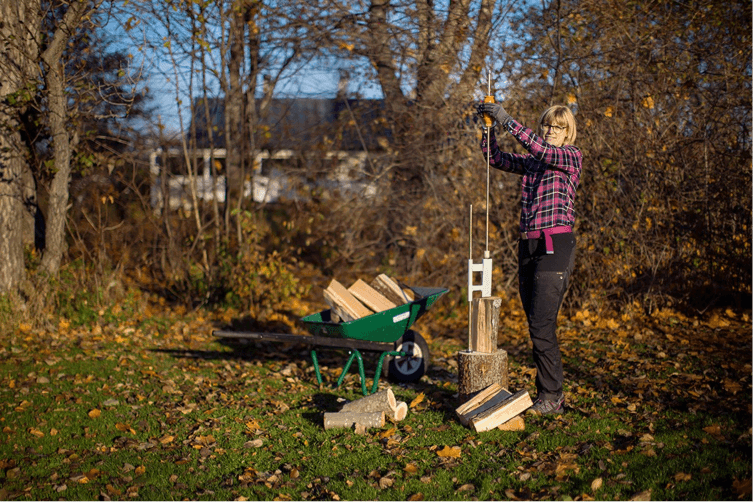 The safe and ergonomic design is safe for everyone to use and spares your back and shoulders, making the Smart-Splitter a great alternative to a traditional wood axe. 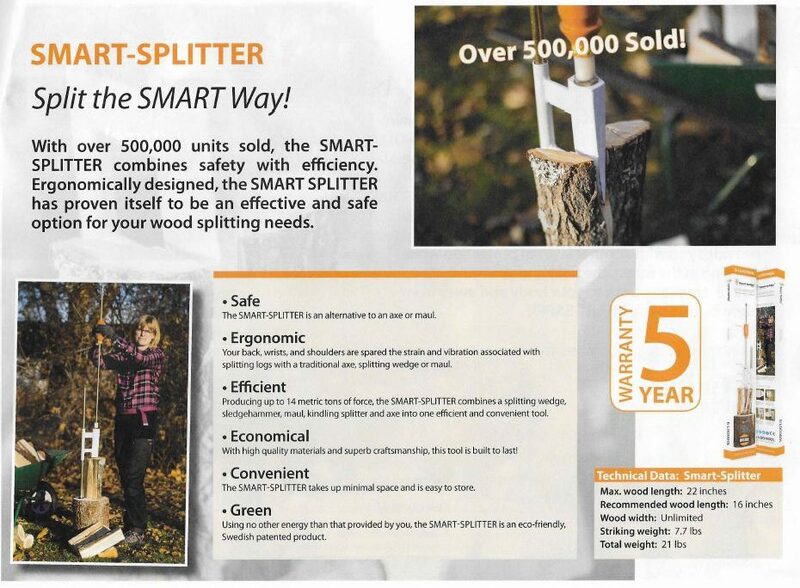 The Smart-Splitter is also effective, producing up to 30,000 pounds of force and it’s built to last. 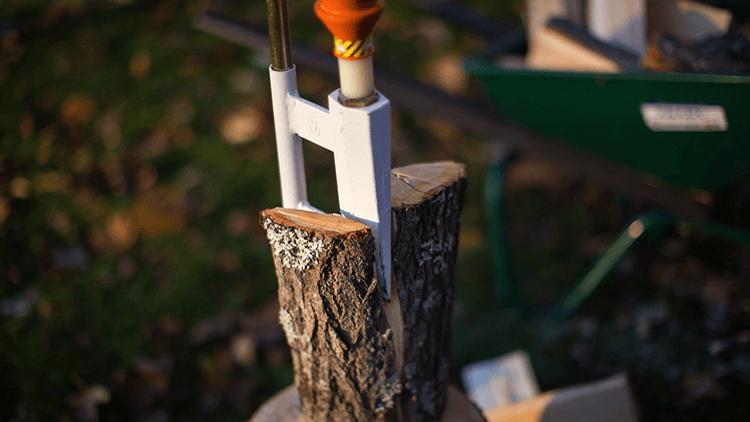 The Splitter combines a splitting wedge, a sledge hammer, maul, kindling splitter, and axe into one tool and takes up little space making it easy to store. Place the guide rod securely into the hole, then place over the guide rod the 1 metal washer, the rubber washer and then the other metal washer. Tighten the bolt so that the guide rod is tight. 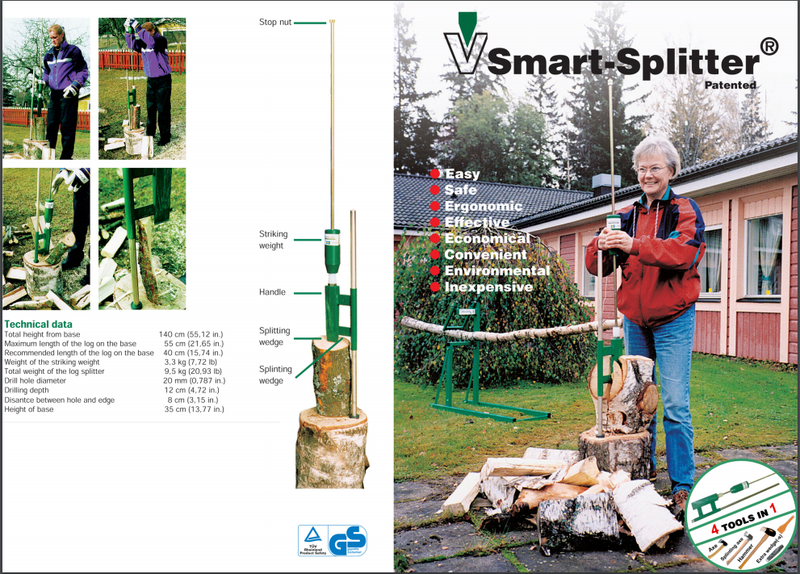 Lift the handle of the Smart splitters cutting wedge and place your log into position under the cutting wedge. 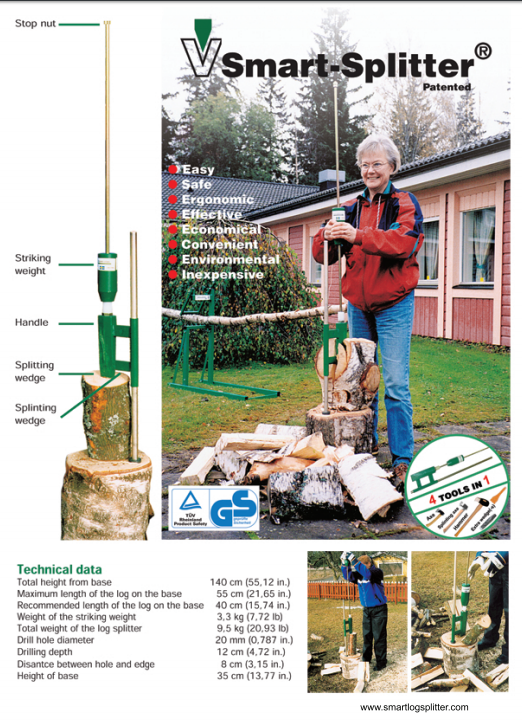 Lift the striking weight with both hands and drop it slightly onto the splitting wedge so that the wedge is slightly embedded into the log. 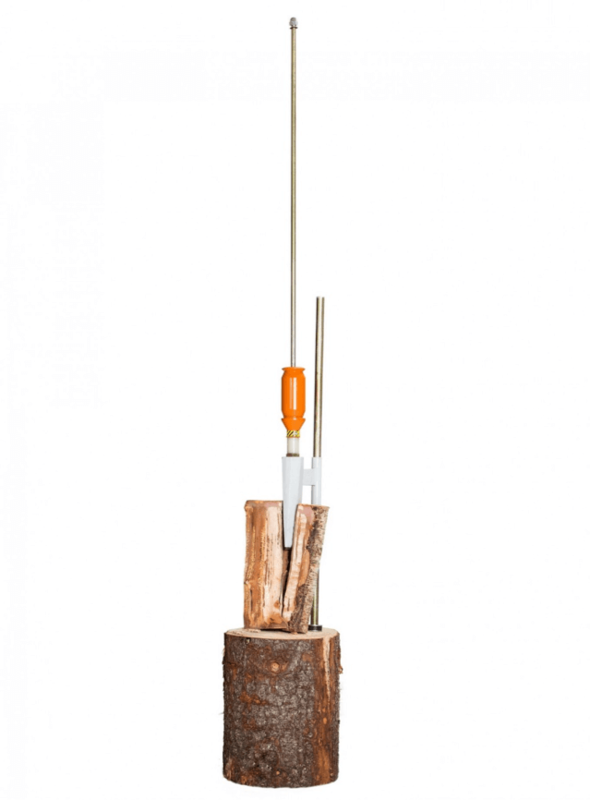 Lift the striking weight to the top of the striking rod. With both hands, throw the striking weight down towards the log, making sure you let go of the striking weight before it hits the log. Repeat this until the log has split. 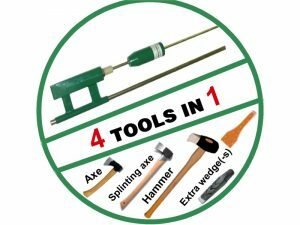 If you wish to cut kindling then place your wood / split logs under the splinting edge and again with both hands firmly on the striking weight thrown down the weight, ensuring you have let go of the weight before it hits the wedge.